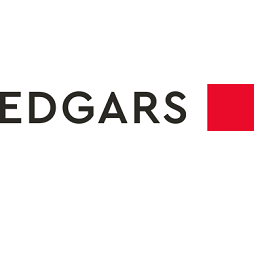 Vouchers are only applicable to Edgars Club Members. Only ONE voucher per customer is permitted. This discount voucher is valid on ONE transaction only and the offer applies only when you spend less than R5000. This voucher cannot be used as payment for an Edgars account nor can it be exchanged for cash. This voucher is not redeemable against the purchase of cell phones, appliances electronics, airtime gift cards and Sunglass Hut products. This voucher may not be used in conjunction with any other sale, promotional or special offer and cannot be used in conjunction with any the vouchers. This voucher is valid on regular priced merchandise only. No photo copies will be accepted. This voucher is valid for the day of sending only. Errors and omissions excepted.